Nearly 1,000 of the nation’s most talented triathletes ages 7-19 will return to West Chester, Ohio, for the seventh consecutive year of the USA Triathlon Youth & Junior National Championships. The weekend of racing will be held at Voice of America Park from Aug. 4-5. For complete event details for the 2018 USA Triathlon Youth & Junior National Championships, visit usatriathlon.org/jr2018. 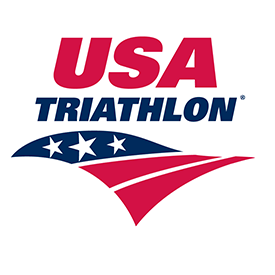 About USA Triathlon: USA Triathlon is proud to serve as the National Governing Body for triathlon, as well as duathlon, aquathlon, aquabike, winter triathlon, off-road triathlon and paratriathlon in the United States. Founded in 1982, USA Triathlon sanctions more than 4,300 events and connects with more than 400,000 members each year, making it the largest multisport organization in the world. In addition to its work with athletes, coaches, and race directors on the grassroots level, USA Triathlon provides leadership and support to elite athletes competing at international events, including International Triathlon Union (ITU) World Championships, Pan American Games and the Olympic and Paralympic Games. USA Triathlon is a proud member of the ITU and the United States Olympic Committee (USOC).